At Berlin Heart we do everything we can to provide people with heart failure with the best possible care. The aim of our work is to ensure that these patients live well despite their illness. 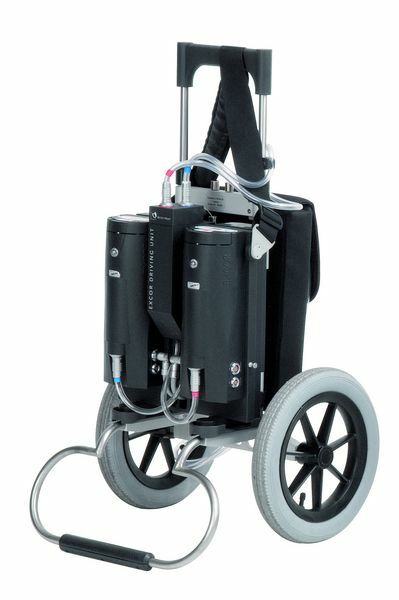 Berlin Heart GmbH develops, produces and markets innovative systems for mechanical circulatory support. With our products EXCOR® Pediatric and EXCOR® Adult*, we cover the entire scope of medical indications. We are the only company in the world offering systems that can support patients of every age and size, from newborns all the way to adults. 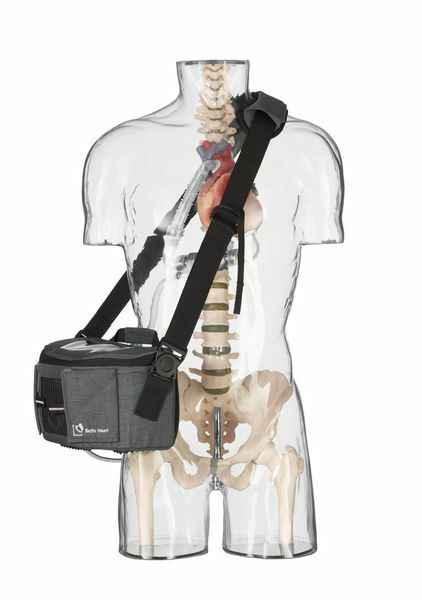 Our systems are used for left, right* or biventricular (bilateral) circulatory support: EXCOR®, Berlin Heart’s paracorporeal VAD, is virtually unrivaled in the domain of biventricular circulatory support. 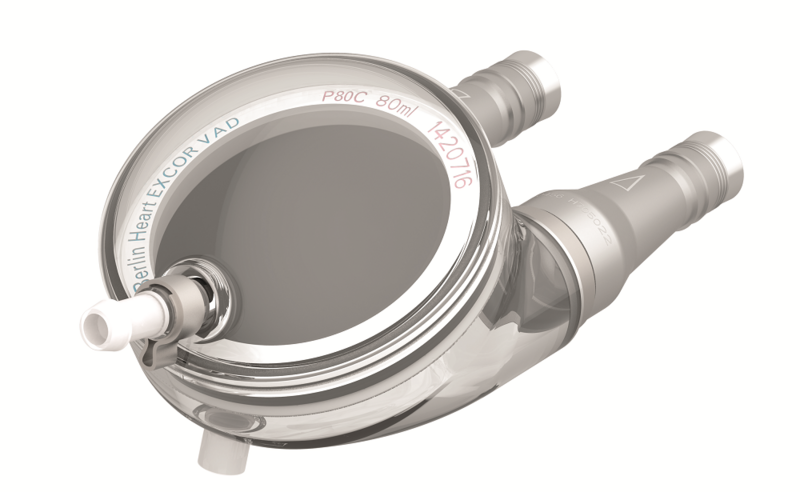 Designed specifically for children, our EXCOR® Pediatric product is the only ventricular assist device approved for pediatric VAD therapy worldwide. With our world-renowned products, we are one of the industry's market leaders. We aspire to develop pioneering solutions with the highest precision and reliability. Our developments are always geared toward the needs of our customers and the requirements of the market – and will continue to do so in the future. We invest about half of our turnover in research and development projects. Using state-of-the-art technologies and professional expertise, we are constantly working to develop new products as well as develop existing products further. In research groups, we discuss with clinicians how the VAD therapy can be improved. Berlin Heart products and services stand for high quality “Made in Germany”. 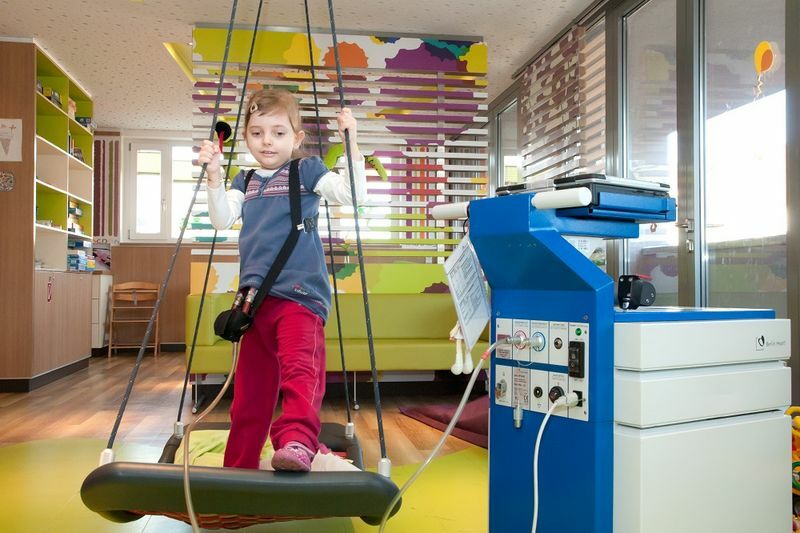 We produce our blood pumps, cannulae and drives at our headquarters in Berlin-Lankwitz. Regular audits and certification processes prove the quality of our products. With our products we support newborns and children, for whom no approved long-term support exists otherwise. Our sense of responsibility towards patients with heart disease is also reflected in our commitment. For example, we support Ronald McDonald's Charity Houses and are committed to an open discussion on organ donation. We support our users during the entire VAD therapy: from patient selection and preparation to implantation and postoperative patient care. If you have any questions, our clinical specialists can be reached around the clock. Foundation of the US subsidiary Berlin Heart Inc.
Mr. Friedel studied economics in Fulda and Berlin with a focus on Accounting & Controlling and Innovation Management. He has known the development of the Berlin Heart since its very beginnings. Initially Mr. Friedel was responsible for various international VC financing activities as Head of Finance. 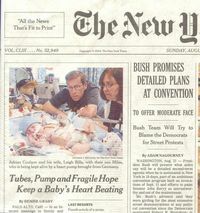 In 2006 he commandeered the sale of Berlin Heart to its current owner. 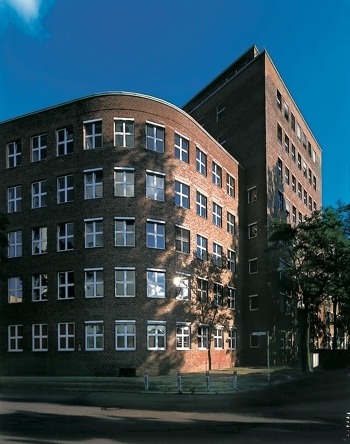 Following the establishment of the subsidiary Berlin Heart Inc. in the USA in 2008, he took over the management of ECP Entwicklungsgesellschaft mbH in addition to the commercial management at Berlin Heart. 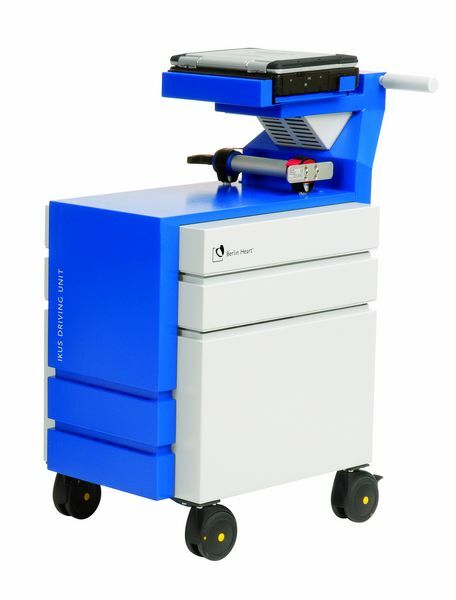 ECP pursued the development of a highly innovative percutaneous assist system for cardiology applications. In 2014 Mr. Friedel realized their successful sale together with a wide-ranging IP portfolio to Abiomed Inc. 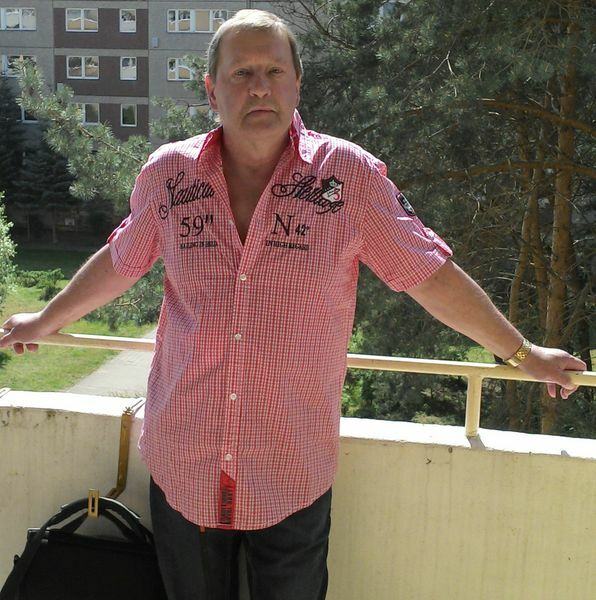 Since October 2014 together with Dr. Ares K. Menon he manages the business of Berlin Heart. Dr. Menon was trained as a specialist in cardiac surgery at the University Hospitals in Düsseldorf and Tübingen. 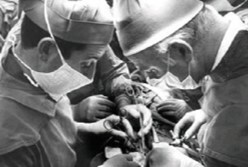 He then worked as a senior physician first in the University Hospital Giessen and later at the University Hospital of the RWTH Aachen in cardiac, paediatric cardiac and vascular surgery. 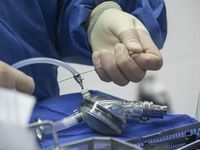 In addition to the entire spectrum of cardiovascular surgery, the operative focus was on off-pump bypass and aortic surgery as well as cardiac transplantation. In Aachen he set up and managed the Department of Cardiac Support Systems. He has extensive and long-standing experience in the implantation of short and long-term VAD systems as well as in the follow-up care of VAD patients. 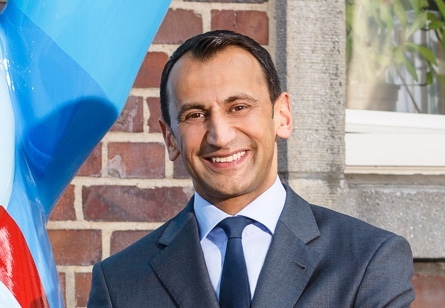 After starting his career at Berlin Heart in 2013 as Division Head for Clinical Issues and Direct Sales in Germany, Dr. Menon was responsible for Global Sales from mid-2013 and served as Medical Director. 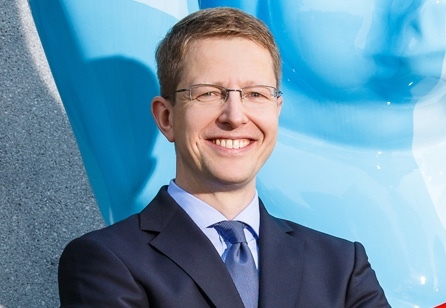 Since October 2014 he has served as Managing Director together with Mr. Sven-René Friedel. We save lives! We stay true to this very human value and express it outwards. We understand and create values that are important for our customers. To achieve this we develop the required competences within a market-oriented business model and in a planned manner. We create the conditions that foster creativity amongst our employees. This has lead to an innovative development of our organization, our value added processes and our product offers. We define clear objectives for ourselves and our staff, and we also implement them responsibly. For this purpose we bring, develop and demand maximum performance. During this process we have integrated all the skills available to our colleagues and employees. Everyone acts in a goal-oriented and efficient manner as if the company was their very own. We stand by our mistakes, learn from them and accept them also with others. We are tough on the matter, but act fairly. We stick to our promises and deadlines. We make and stand by our decisions, make them transparent, and implement them consistently. We achieve optimum quality through market-driven, reliable and pragmatic solutions. In April 2015, users of the Berlin Heart system EXCOR® Pediatric founded the European EXCOR® Pediatric Investigator Group (short EEPIG). The group now consists of more than 50 VAD experts from 15 countries. 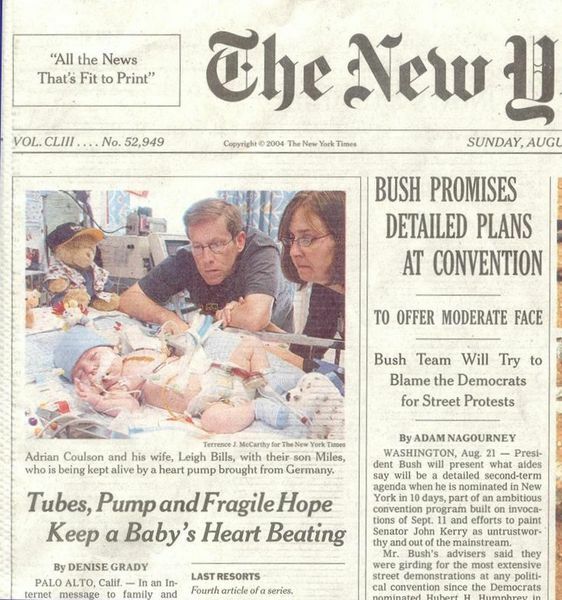 The aim of the research group is to discuss and improve various aspects of pediatric VAD therapy. The biannual EEPIG meetings also provide a platform for the initiation of multicenter studies. A working group formed by the EEPIG deals, for example, with the topic of anticoagulation. A corresponding study, the Thromboembolic RIsk Study (TRIS), is currently in preparation. Representatives of various European VAD clinics form the biventricular heart failure research group. At regular meetings, members evaluate approaches for optimal treatment of patients with bilateral heart failure. Within the research group, the prospective study "Successful support of biventricular heart failure patients by new EXCOR® Adult pumps with bileaflet valves" by Schmack et al. emerged. Together with the Biofluid Mechanics Lab at Charité – Universitätsmedizin Berlin, Berlin Heart GmbH is carrying out the project "Ways to implement a cost-oriented VAD therapy II". The aim of the project is further research in the field of mechanical circulatory support for the chronic treatment of terminal heart failure. Looking at the entire therapy chain, we strive to improve the interaction between the life-support system, patients and medical staff, as well as safe and cost-effective patient care after leaving the clinic. The project is co-financed by the European Regional Development Fund (ERDF). With its houses, the foundation offers families of seriously ill children a home near the clinic where the young patients are being treated. As we know how important family closeness is, especially for young patients, we support the foundation and in particular the Ronald McDonald House in Berlin-Wedding. 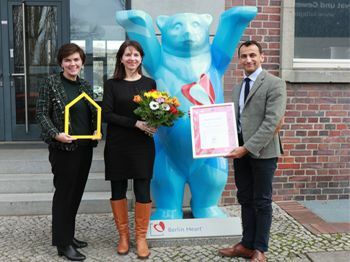 As an annual Christmas donation Berlin Heart assumes the sponsorship for an apartment and therefore its maintenance costs. In addition, our employees get involved in a very personal way: amongst others with renovation campaigns, cooking evenings for the residents of the house or through specially arranged bake sales. While the number of patients on the waiting lists is steadily increasing, the number of available organs has been declining for years. At Berlin Heart we know what the often long wait for a donor heart means for the patients. This makes us want to draw attention to the problem all the more. Within and outside of our company, Berlin Heart is therefore committed to an open and conscious debate on the issue of organ donation. This charitable aid project gives children and young people access to IT and education. 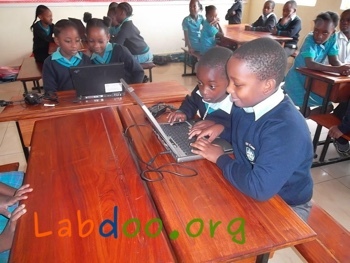 Berlin Heart supports Labdoo by donating PCs and laptops. The equipment benefits young people in schools, orphanages, child, youth and refugee projects in 107 countries worldwide. The hardware and Labdoo-added software allow pupils and refugees to take full advantage of the digital possibilities.